Thailand is a traveller's paradise, this amazing country combines the frenetic pace of city life with some of the most stunning beaches on the planet. However, few get to experience the country in a way that volunteers do. By applying to volunteer you will get the most rewarding experience of your life. If you would like to volunteer abroad and make a difference, then you really should consider putting Thailand top of your list of destinations. Not many countries in the world compare to the land of smiles, we guarantee you will love the experience of visiting and working here. Food, culture, history, friendly locals and incredible experiences are on offer, not to mention the incredible ways you can give back and make a difference. On World 365 you can find rewarding free, low cost and structured programs where you can work to make a difference in this amazing country helping communities, the environment and wildlife like elephants. By applying you will get to spend time doing something constructive for you, others and also give your experience a boost at the same time. Working with local people, helping rewarding projects and making lifelong friends and memories along the way are just some of the highlights. This will be the most incredible experience of your life. 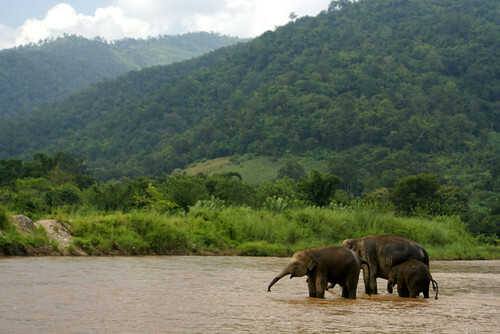 Surin: If you would like to work with elephants you will find most placements in Surin located in Eastern Thailand. 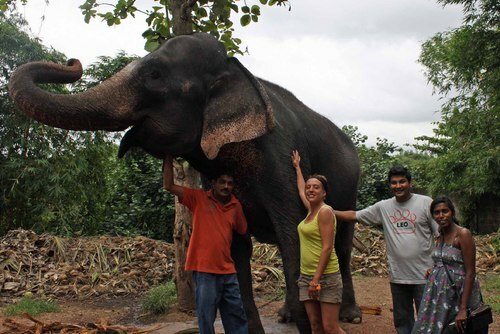 These elephant programs are located in the lush countryside of Thailand, around a few gours away from Bangkok. You will need to be adaptable to working in an outdoors situations and be prepared for early starts, elephants are usually washed at 7am. The day is quite relaxed though and there will be lots of breaks, the time you will finish will usually around 5pm and you will have evenings free. In your free time you might want to visit a local village, chat to staff or even teach English to locals. 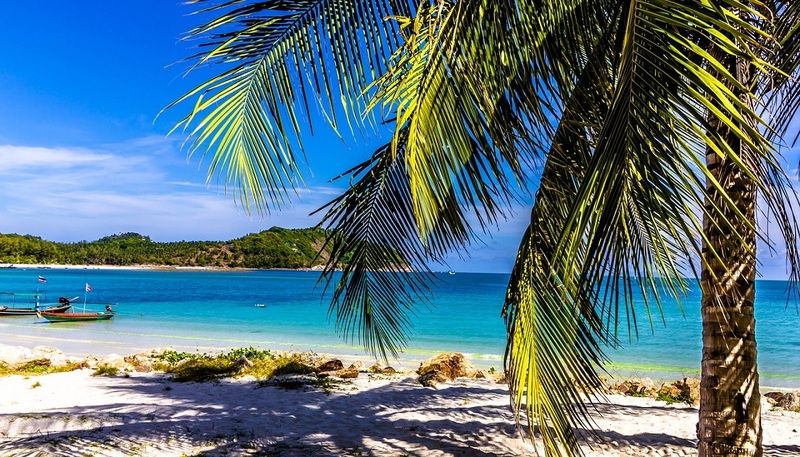 Southern Islands: In the Southern islands, you could help marine biology programs and help with eco conservation in spectacular locations living on beaches with crystal clear waters like Koh Samui. There are also placements available in remote locations like Saraburi province which is a spectacular area with waterfalls and National Parks, here you can teach English in Muak Lek which is a traditional village about 100km from Bangkok. You might also like to participate in places like Phuket. There are so many programs available that are dependent on factors such as weather, numbers of volunteers, time of year but you will need to be flexible and just be ready to get your hands dirty! 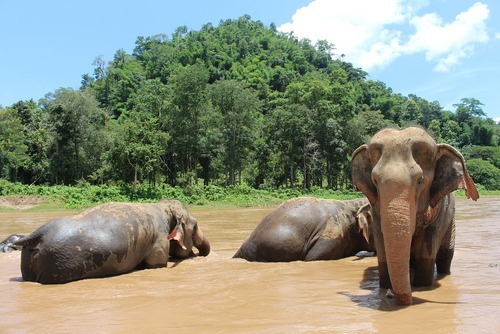 There are also various eco environmental projects preserving wildlife programs throughout Thailand in places like Chiang Mai, rural areas and the Southern islands. You can help a selection of animals, rehabilitation projects in Thailand give wildlife lots of care, and also you could work to help to improve the living conditions of captive animals. A lot of projects are located in Surin and Chiang Mai in the North of the country. On these placements, you will also learn about the culture of Thailand, animals needs and dangers they face. Daily chores include washing and feeding, gardening and working with the people in wildlife sanctuarys. 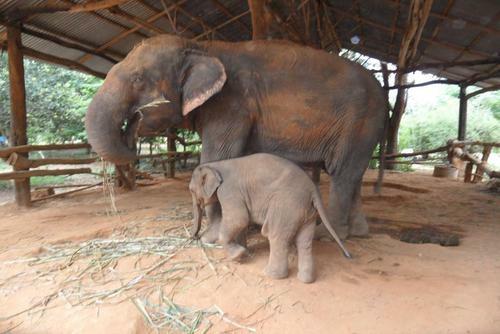 Below you can view free volunteering opportunities with animals in Thailand. You could help with construction work, join building programs or work to aid refugees and humanitarian efforts. There are lots of refugees and misplaced people living in Thailand especially in the North which is home to lots of Burmese people. There are volunteer projects where you can help Burmese refugees and work in the hill tribe region of Thailand. It's entirely up to you to decide which, but whatever project you pick you'll finish the week with new friends and the knowledge that you've made a positive impact during your stay. If you'd like to extend your time on a community project, this is easily done. There are lots of non-profitmaking services run by local and international volunteer staff providing free English lessons to children and adults in places like Phang-Nga province, southern Thailand. Donations through volunteer fees are raised just to keep services running. Apart from the benefits to Thais, volunteers also have a good and fulfilling experience and that they benefit from our low-cost Andaman environment. Have the chance to really flex your muscles and put them to good use on this building project in the heart of Thailand knowing that at the end of it you will have been part of making a dream come true for 40 children. Sangkhlaburi, a village 500kms northwest of Bangkok is an area of different ethnic minorities including Karen, Mong, Burmese refugees and hill tribes who do not have any status as Thai and therefore do not have any rights, in effect they are stateless. This area is known for its human traffickers who thrive on these abandoned and orphaned children of the minorities who are easy prey and who do not have anyone or anywhere to stay safe. The children`s home in the area is able to look after 37 children and offer them a safe haven but with only 3 bedrooms this as you can imagine is extremely cramped! This project aims to build a new children`s home which will give plenty more space for these children. You will be involved in many aspects of building so you may be digging foundations, clearing land, painting, putting up walls, putting in toilets, water systems, creating play areas and gardens to name a few! Work hands on delivering aid and assistance at hospitals or community outreach programs. There are healthcare awareness and more options for skilled medical professions and also people who are just looking to help in a general capacity. Many of the applicants are people looking to share skills and experience life in a different culture. You might be working in outreach teams, in hositals or in rural communities. One of our most diverse programs in one of the most beautiful spots in the country, this visit to Thailand's northern hill tribe community will be hard to forget. The Akha people are a disadvantaged minority in Thailand but have a distinct culture and during your time with the families you will develop a new understanding and appreciation of it. This program will have you immersed in the village, experiencing a range of cultural activities and enjoying the surrounding fauna and wildlife through excursions, all the while helping out the local Akha people through various means like teaching, gardening and light renovation. Some organisations have been protecting hill tribe culture for the past 30 years and work in association with UNESCO and UNDP. These volunteer packages are some of the best in Thailand. Hill Tribe projects in Chiang Rai and Northern Thailand offer a unique experience of the local culture. Working on conservation projects in remote regions may at first be a culture shock but it will definitely broaden the mind and provide many unforgettable experiences. You could help nature, eco projects and marine conservation. 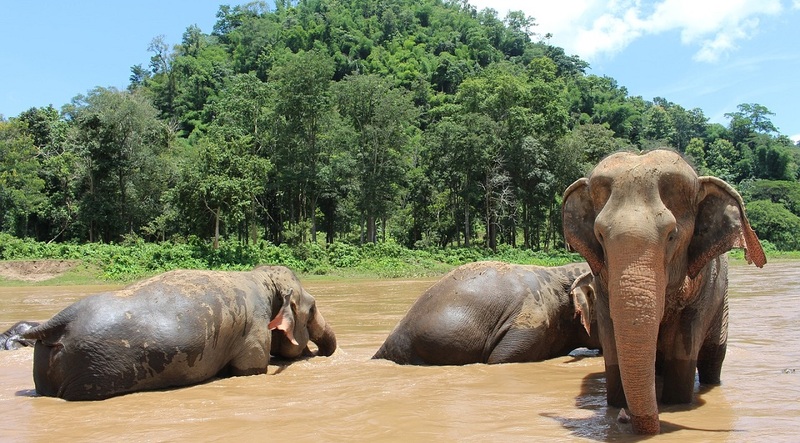 You could volunteer on organic farms and eco projects in Thailand. You will not be paid but will get free meals and accommodation in exchange for voluntary work. There are lots of local grassroots little farms Thailand, who grow vegetables such as potatoes, tomatoes, watermelon and pumpkin. Some farms even care for animals like sheep, chickens, pigs, cat, geese, horse, dogs, rabbit, deer etc. 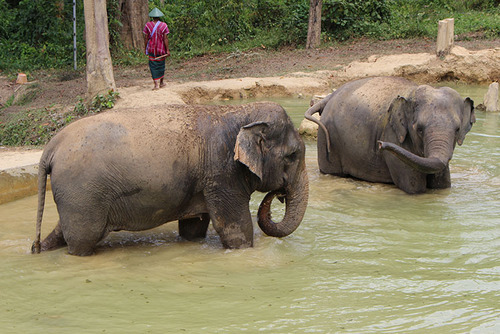 Activities can include feeding, bathing, cleaning and playing with the animals. Everyone can join and share ideas to help the farming community grow. The main purpose of these types of farms is to live in conjunction with nature and take care of animals to make them feel safe and happy, as well as to save the environment. There are summer and group volunteer projects in Thailand which are very popular so you will need to apply early to avoid spaces being full. 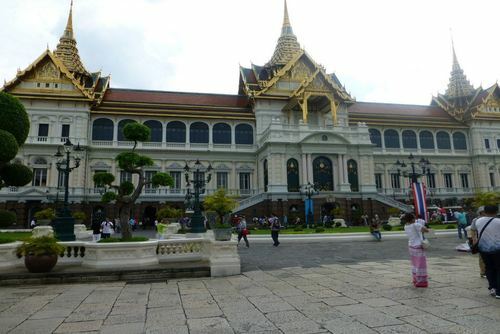 Thailand attracts people from diverse backgrounds and from all different ages and most projects are open to all nationalities. To apply you will need to be in good physical condition and aged over 18 in most cases. There are special volunteer trips which operate for 16 and 17 year olds and families, these need to be booked in advanced to join as they are very popular. Signing up can seem a daunting and exciting prospect, don't worry training and safety will be provided on arrival and you will be able to create amazing memories and pictures to last a long time. 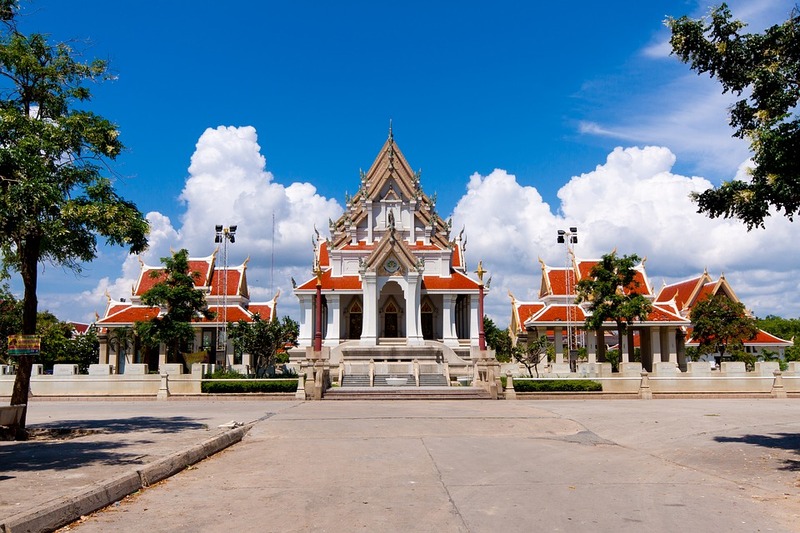 Most flights arrive into Bangkok and you will be met at airport and then be whisked away for an introduction - this is a great chance to learn more about Thailand, bond with your new friends and learn about the local are. Some structured programs will require you to pay a fee to participate which includes placements, support, meals and more. If you need any help arranging a volunteer placement in Thailand please get in touch. You might also like to view all of our volunteering programs in Asia. Volunteering in Thailand doesn't have to be expensive as there are lots local organisations and charities who offer free & cheap volunteering programs in Thailand. You can find these by searching our directory. Finding paid volunteer jobs in Thailand can be difficult but the experience of participating can help you to meet new contacts which can lead to full time work in Thailand. If you have ever volunteered in Thailand and would like to write about your experience, review an organisation or share any recommendations please contact us.